Canadians have enjoyed a long history of encounters with Shakespeare, from the visual arts to creative new adaptations, from traditional and nontraditional interpretations to distinguished critical scholarship. We have in over two centuries remade Shakespeare in ways that are distinctly Canadian. The Oxford Shakespeare Made in Canada series offers a unique vantage on these histories of production and encounter with attention to accessibility and presentation. These editions explore how a given country can inform the interpretation and pedagogy associated with individual plays. Canadians, or more properly British North Americans from both Upper and Lower Canada, have been interacting with Shakespeare since no less than the 1760s in a tradition that is at once rich and robust, indigenous and international. The Canadian Adaptations of Shakespeare project at the University of Guelph has created a multimedia database of hundreds of adaptations, developed from Guelph's world-class theatre archives and a host of independent sources that reflect on a long tradition - from pre-Confederation times and heading vibrantly into the future - of playing Shakespeare in Canada.These are the first editions of the plays of William Shakespeare to place key insights from the world's best scholarship alongside the specific contexts associated with a dynamic Canadian tradition of productions and adaptations. 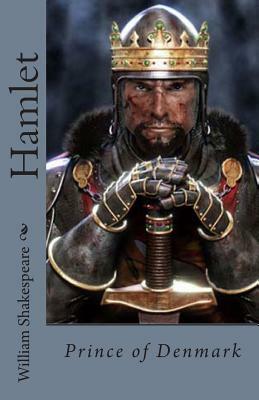 Specially research images, never printed before, from a range of Canadian productions of Shakespeare will be featured in every play In additional to a scholarly edition of the playtext complete with original new annotation, these books will include both short introductions by noted scholars and prefaces by well-known Canadians who have experience with Shakespeare. In addition, each play will include act and scene summaries, dramatis personal, and recommended reading/resources. Daniel Fischlin is University Research Chair and Full Professor of English and Theatre Studies at the University of Guelph. His awards include the OCUFA (Ontario Confederation of University Faculty Associations) Distinguished Teaching Award, the University of Guelph Faculty Association (UGFA) Distinguished Professor Award for Teaching and the University of Guelph College of Arts Teaching Excellence Award. He has also been named among Guelph's most popular professors in Maclean's magazine and has twice (in 2004 and 2006) been awarded the Presidential Distinguished Professor Award for his research.